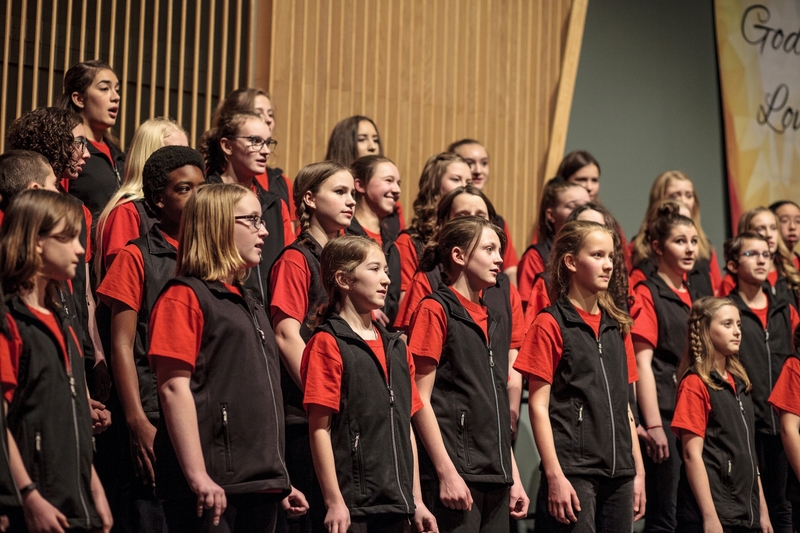 The Westside Concert Choir, formerly the Westside Children’s Choir, was formed in 1994 to provide an affordable, high-quality choral music education program for youngsters whose busy lives could only accommodate one rehearsal a week. 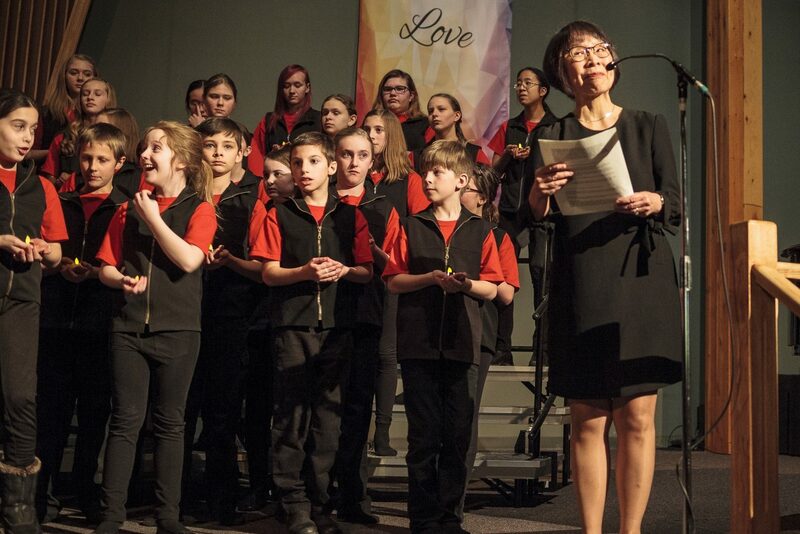 The choir is unique in many respects: there are no auditions, tours, fund-raising activities, or volunteer commitments by singers or parents. Fees are affordable for most families and financial assistance is available upon request. 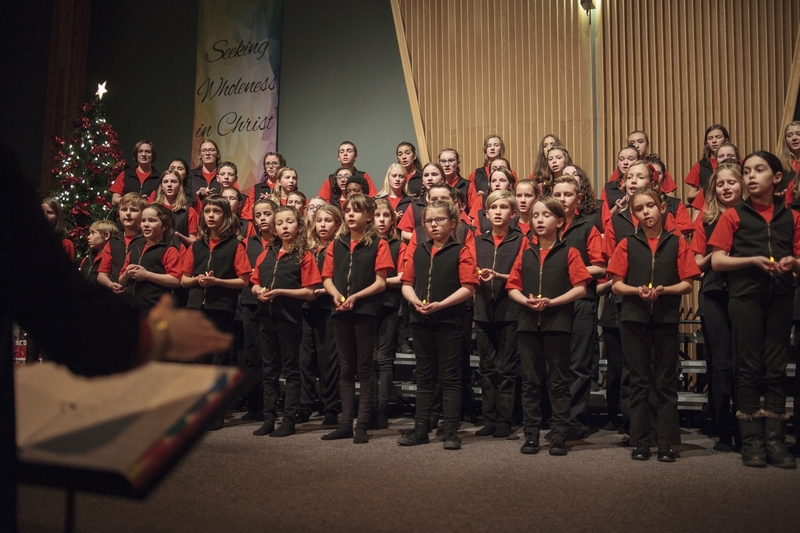 The Westside Concert Choir has been called Calgary’s most family-friendly children’s choir. 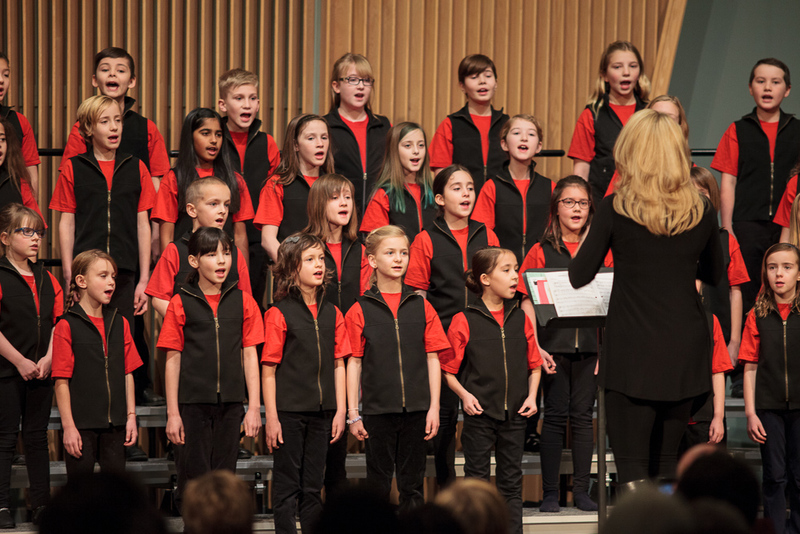 It is an exciting and rewarding program for girls and boys who like to sing. 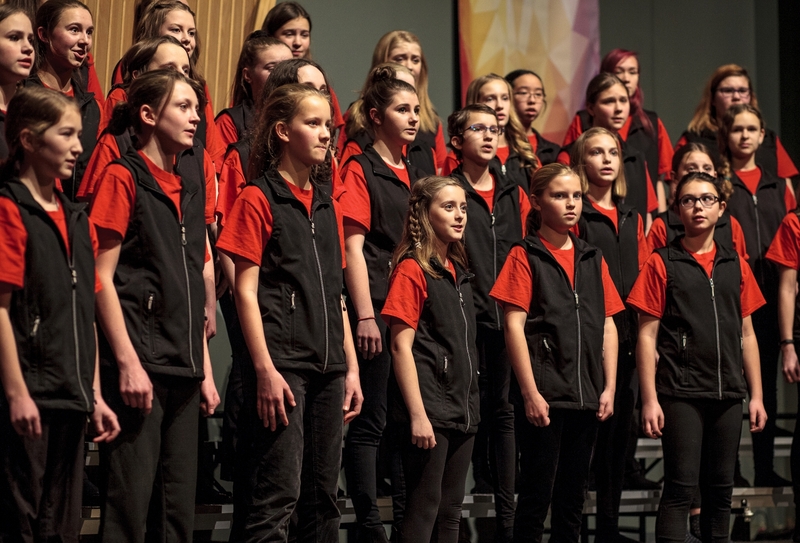 There are two divisions: the Junior Choir for children in grades 3 to 5 and the Senior Choir for youngsters in grades 6 to 12. The award-winning choirs regularly thrill their audiences and adjudicators with their musicality, beautiful tone, and joy of singing. The directors and accompanists are all professional musicians and teachers whose goal is to achieve the highest artistic standards with the finest, most challenging treble repertoire available. The choirs’ repertoire includes sacred and secular selections from all periods and in a variety of styles. Parents and friends are invited and encouraged to attend rehearsals to listen to their children as they work to achieve excellence in the art of choral singing. Uniform Return and Pizza Party & Talent Show: May 16, 2019.